Conference4me will support EGI Community Forum 2012! 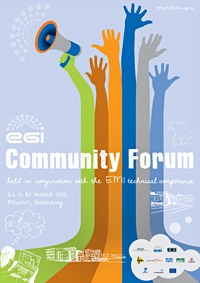 “The first EGI Community Forum 2012 will take place at the Leibniz Supercomputing Centre (LRZ) in Garching near Munich, Germany between 26-30 March 2012. (…) The Community Forum (…) will provide an opportunity for the EGI community to showcase its achievements and discuss common issues through talks, workshops, tutorials and posters. The exhibition area will feature posters, demonstrations and booths available to projects, academic institutions and business companies.” Read more about event.